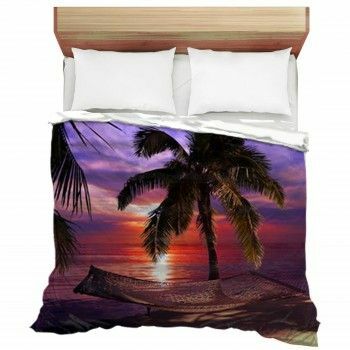 If you are thinking of decorating a part of your house with a tropical theme, you have to the right place. 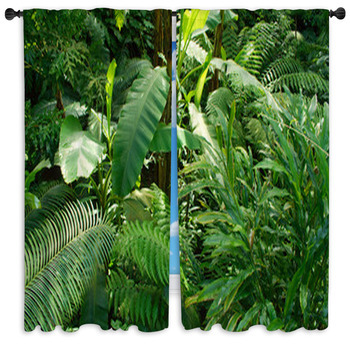 Our window curtains display the rainforest and the animals that call it their home. 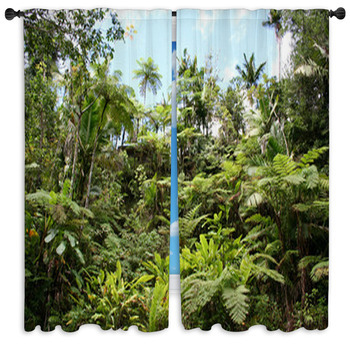 The tropical window curtains show an image of trees overlapping each other. 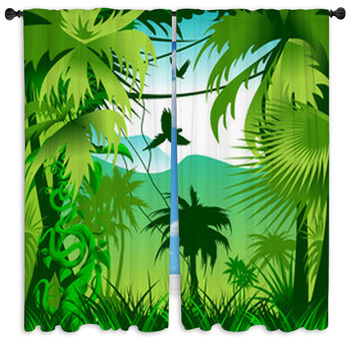 The jungle window curtains depict several trees in the background with two birds encircling the sky. 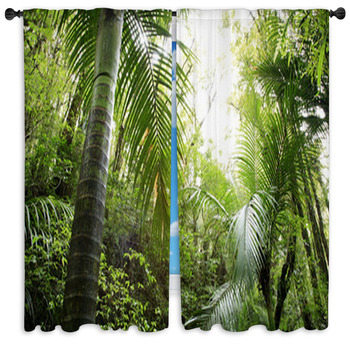 The lush jungle window curtains illustrate several palm trees during the day. 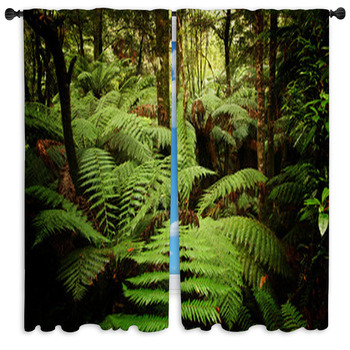 The ancient forest window curtains show several palm trees crowding together on a black day to create an antique setting. 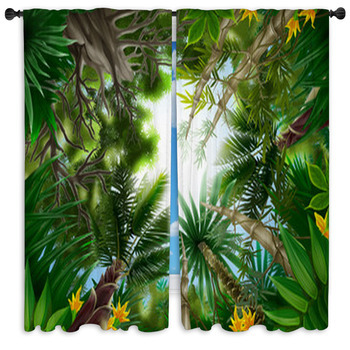 The illustration of tropical forest window curtains feature several palm trees coming together to form a gap in the center. 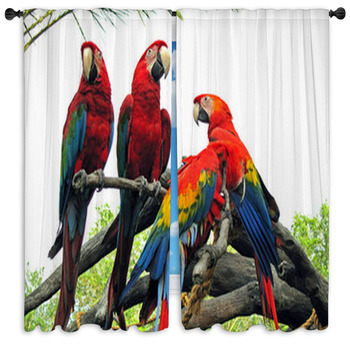 In stock, we have images of parrots printed on our window curtains such as the three scarlet macaws perched on a tree branch on a pleasant day and the group of parrots sitting together on several tree branches in close proximity of each other. 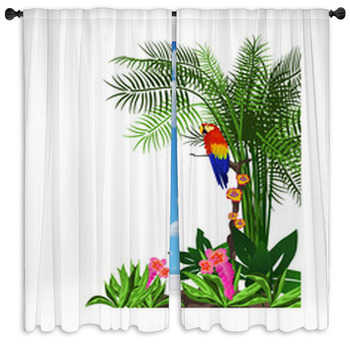 The tropic background window curtains feature a parrot with its claws dug deep inside the bark of the tree. 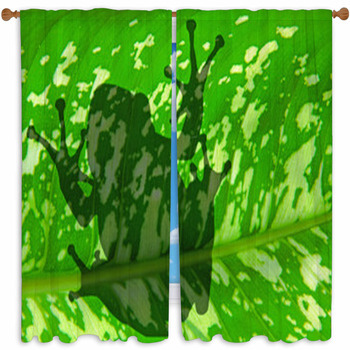 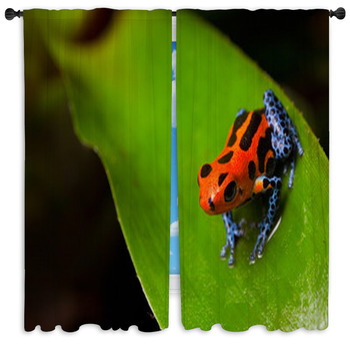 The red poison frog window curtains has a red frog with black marking sitting on leaf and on the shadow of frog window curtains, it features the outline of the frog’s body from underneath. 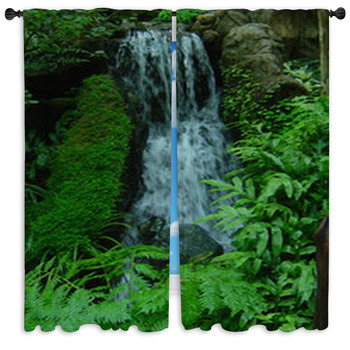 The water window curtains show a stunning depiction of streaming and flowing waterfalls in the rainforest. 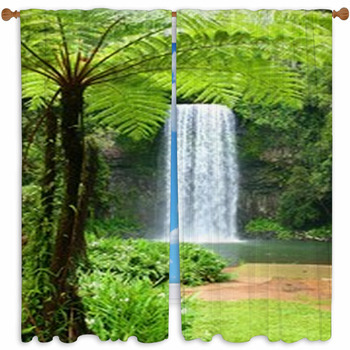 The Millaa Millaa Falls window curtains depict a serene forest with palm trees, bushes, and grassy plains. 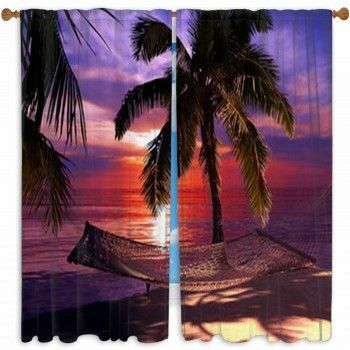 You can customize the window curtains by sending in a picture.